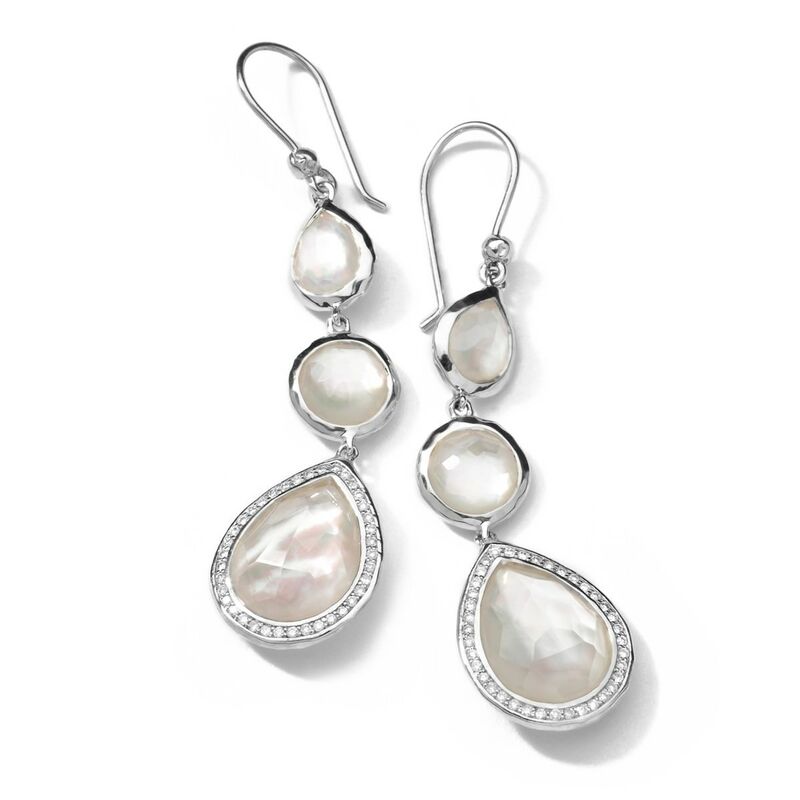 Earrings are an essential part of dressing up. 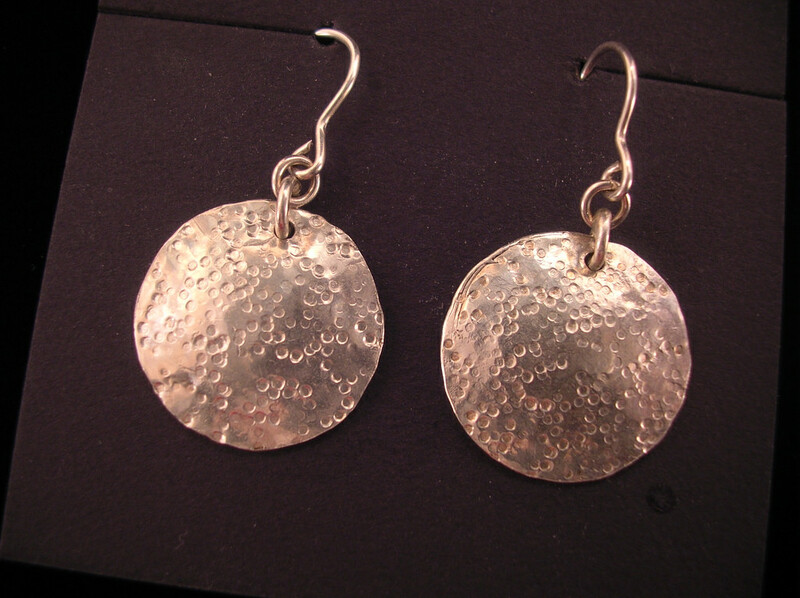 Silver is the most commonly possessed wealth among people in the form of jewelry or otherwise. 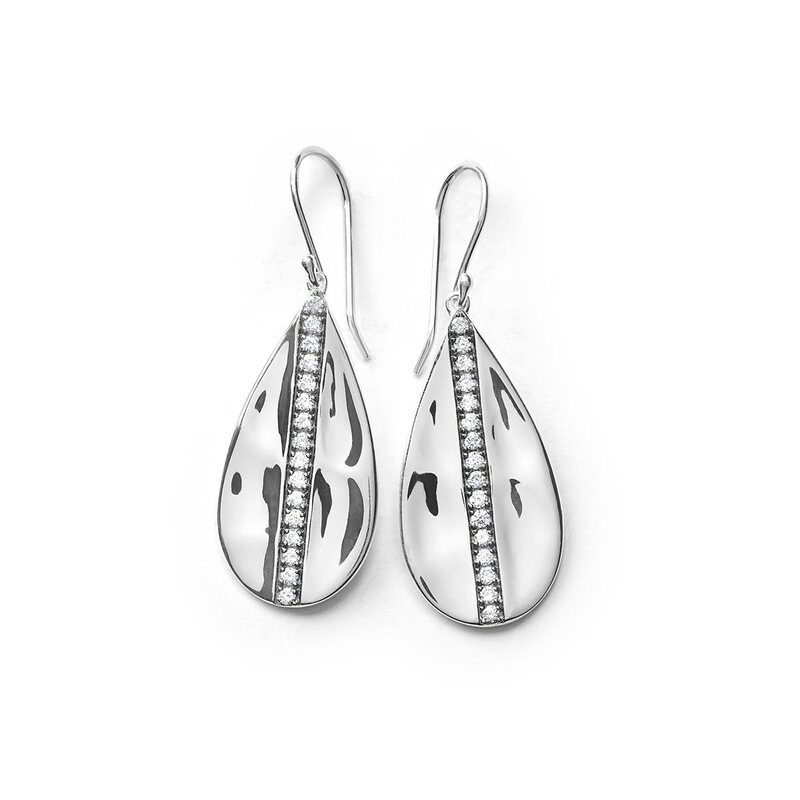 Silver earrings are the most used piece of jewelry, as they add shine to the overall appearance. 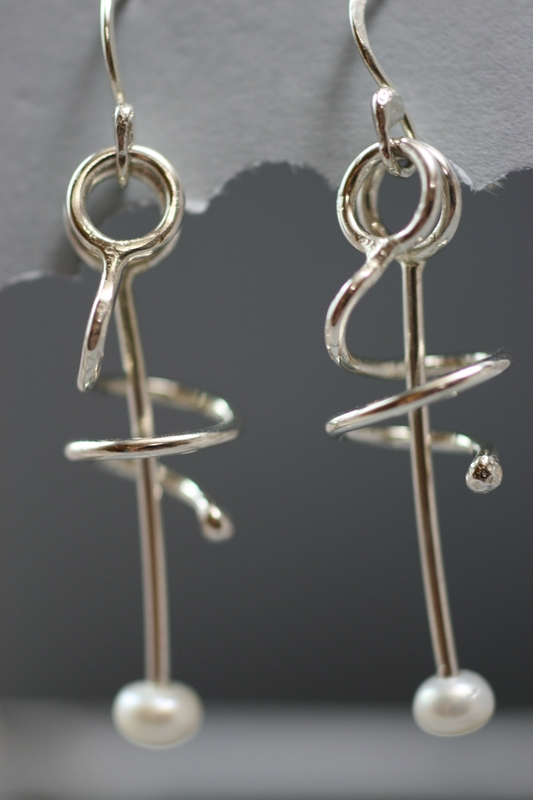 In the context of silver earrings design, there are so many styles to grab. The patterns keep evolving and getting better by the day. 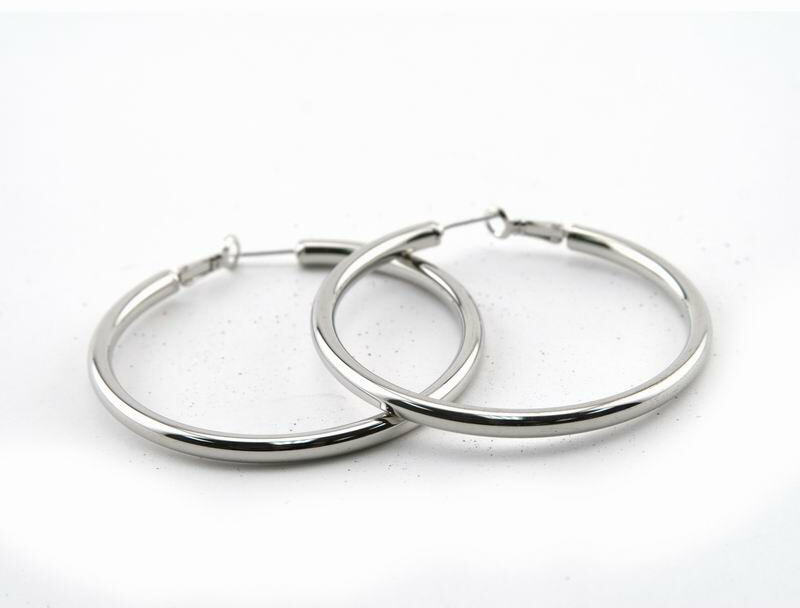 Here are some inspiring ideas to get different silver earring designs for casual or regular days. 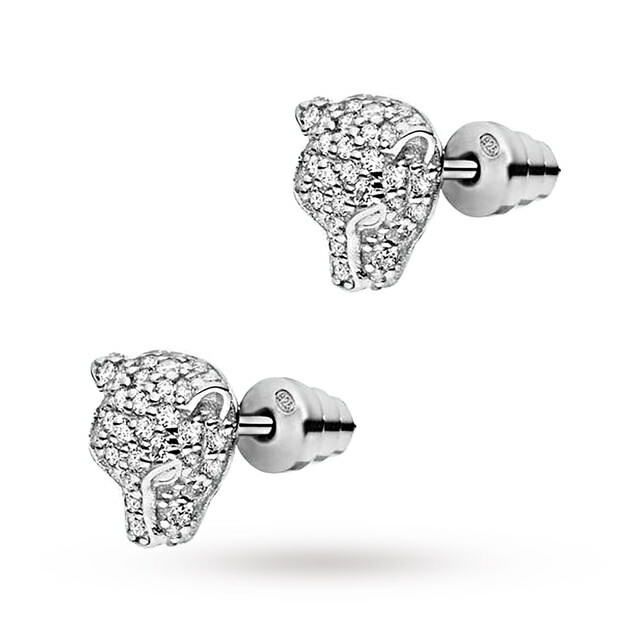 A cute heart shape earring is good enough to wear for routine life. An inner heart is also created in the big heart to make the appearance fuller. 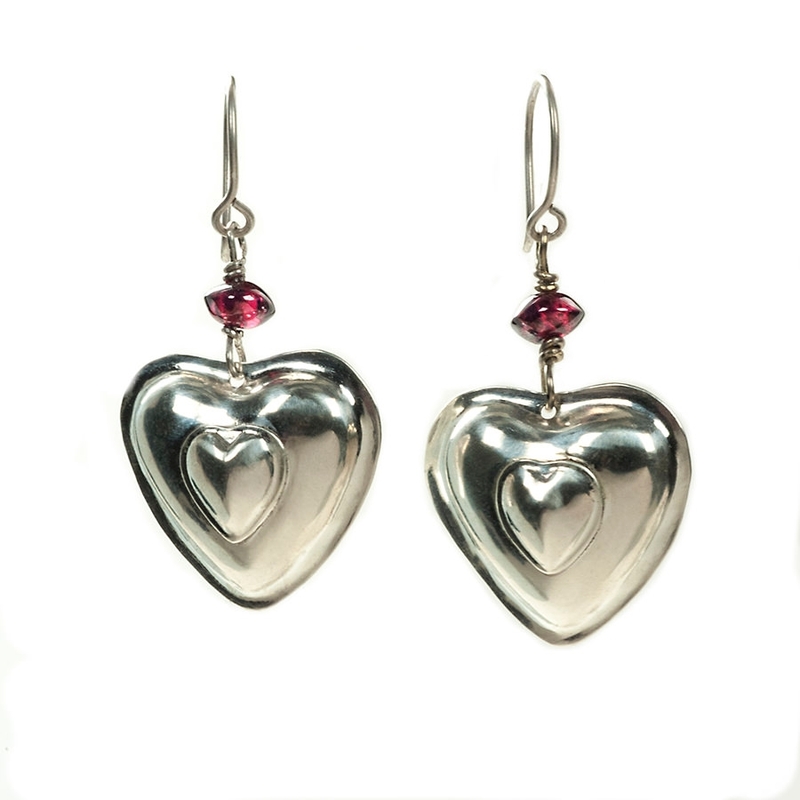 The earrings are light enough and can easily go with any heart shape pendant. 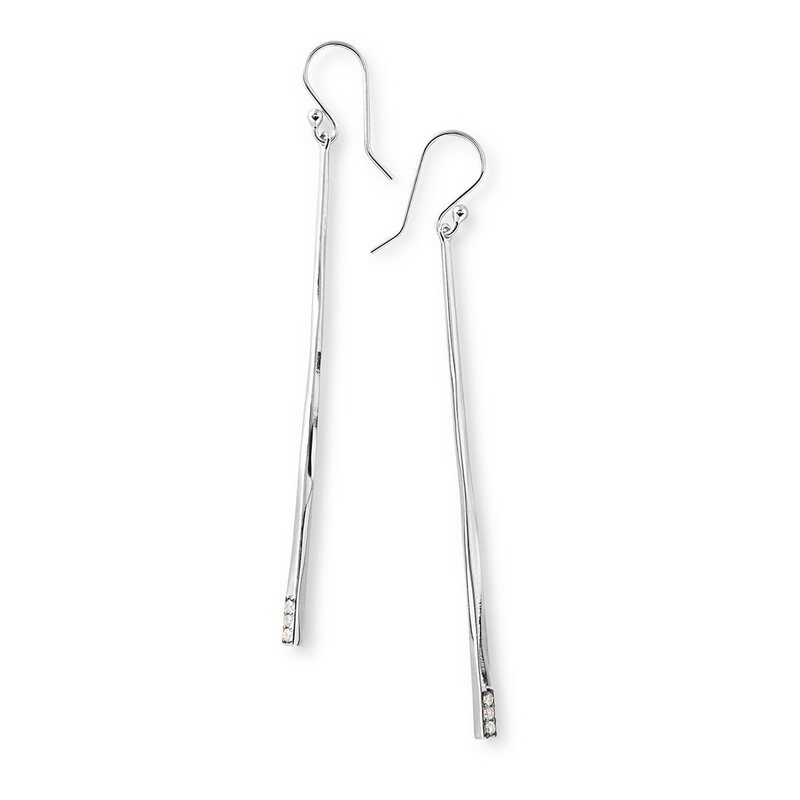 Stylish silver earrings look awesome even without stone or gems. 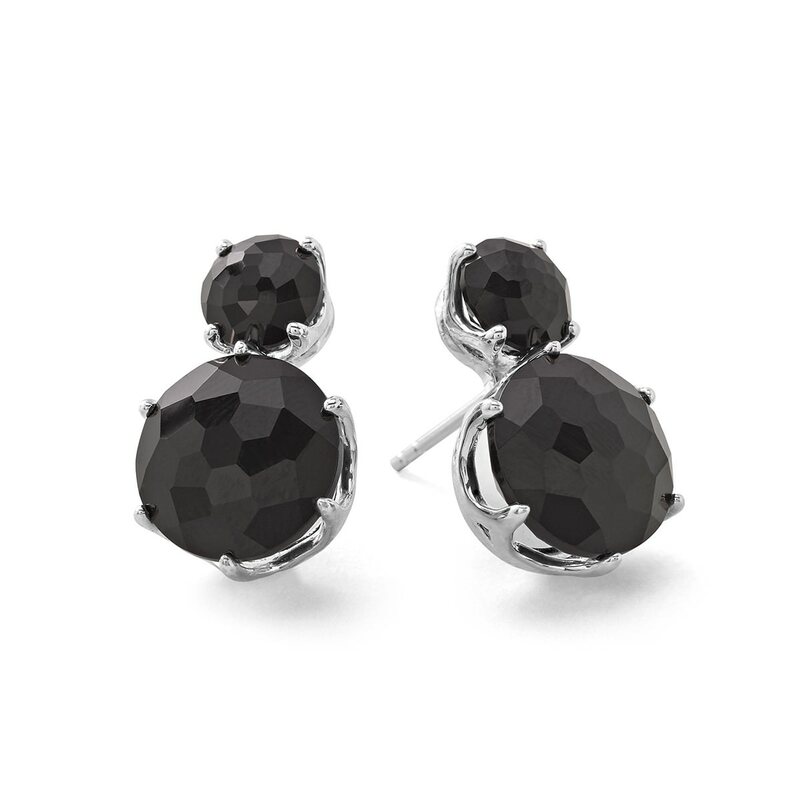 With the black touch, these earrings look good on teenage girls. 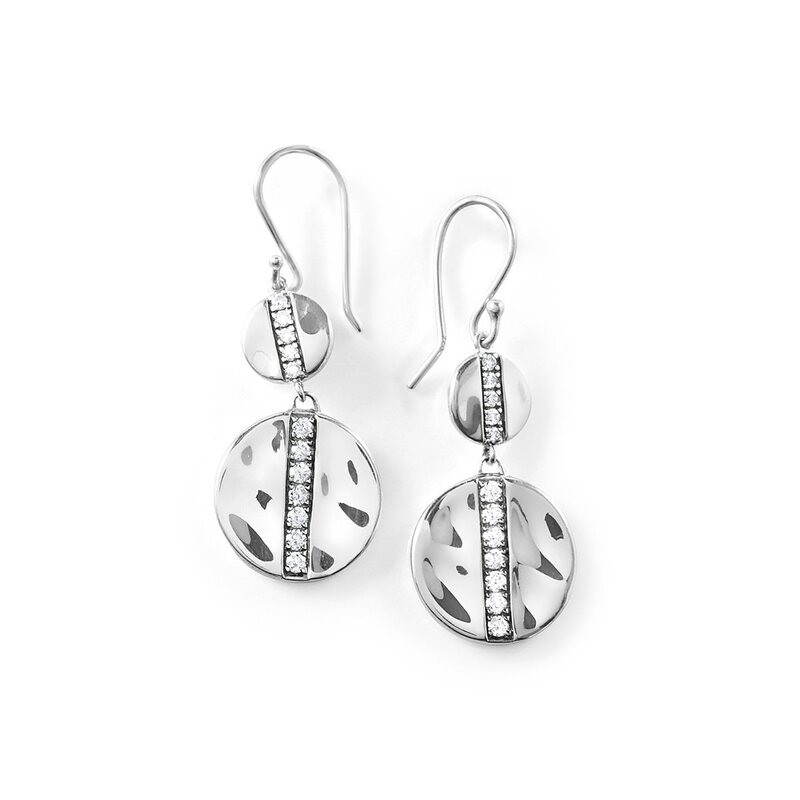 The round shape of the earrings makes it pretty enough to wear to a night party. 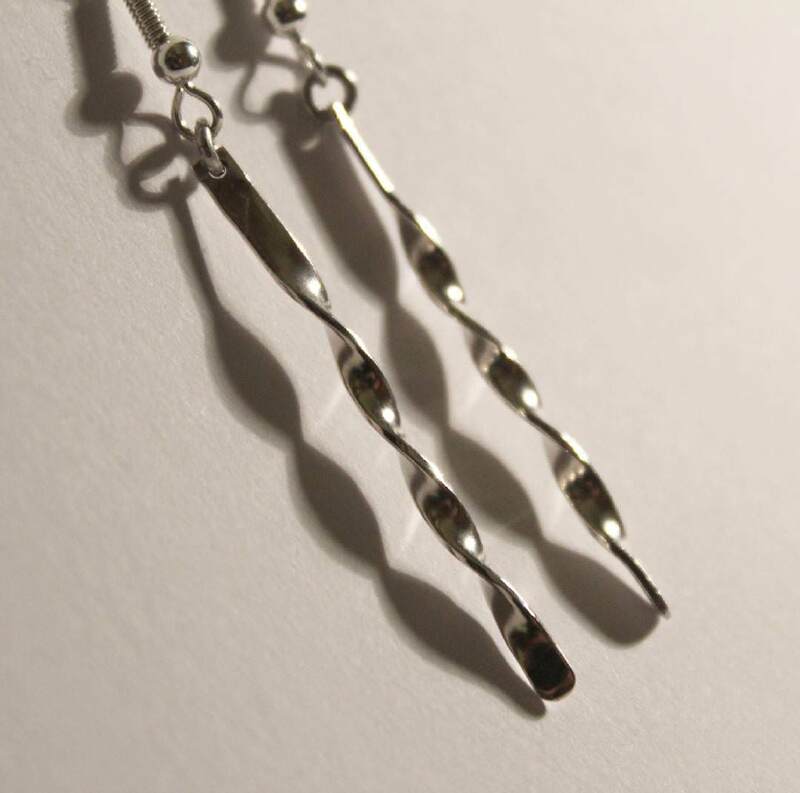 Every twist in the earring gives it an amazing look. The design goes very well with any outfit. 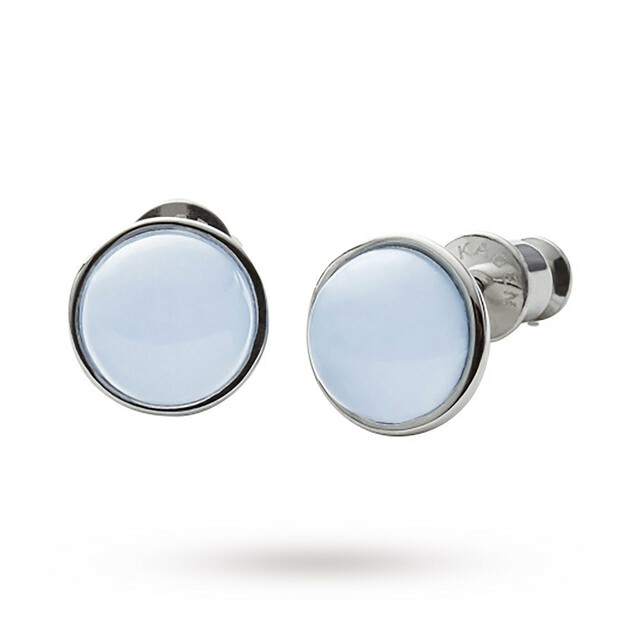 Irrespective of the size, one can adorn them any time to look elegant. 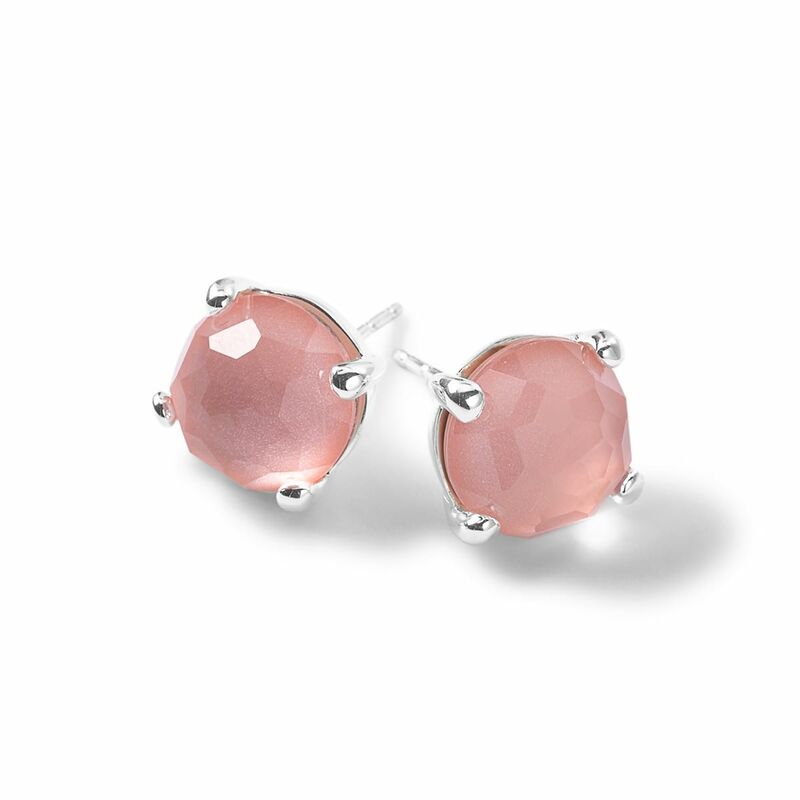 This design comes with three light blue gems to make the earrings look eye-catchy. 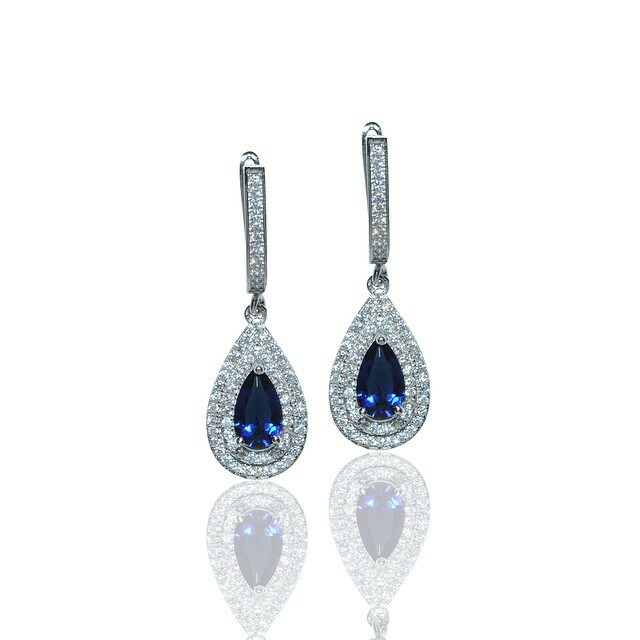 Small stones are fixed at the side part of the center gems. The design renders a cool and peaceful look to the viewer. 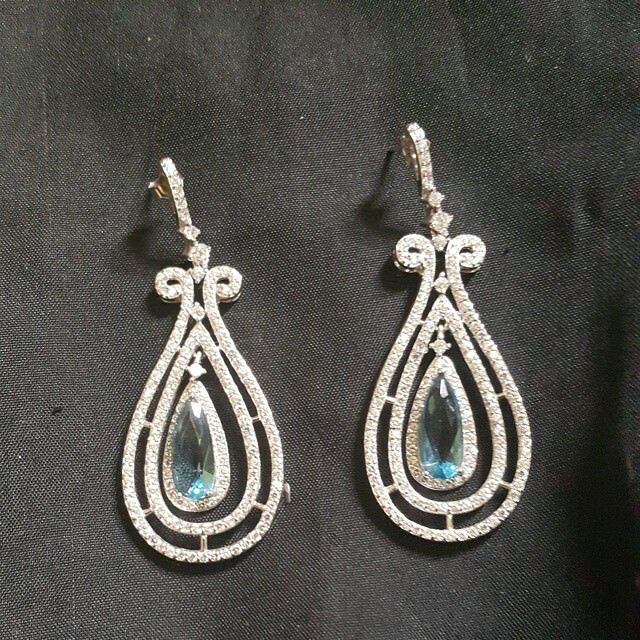 This party wear design contains blue stone as the center of the attraction of the earrings. 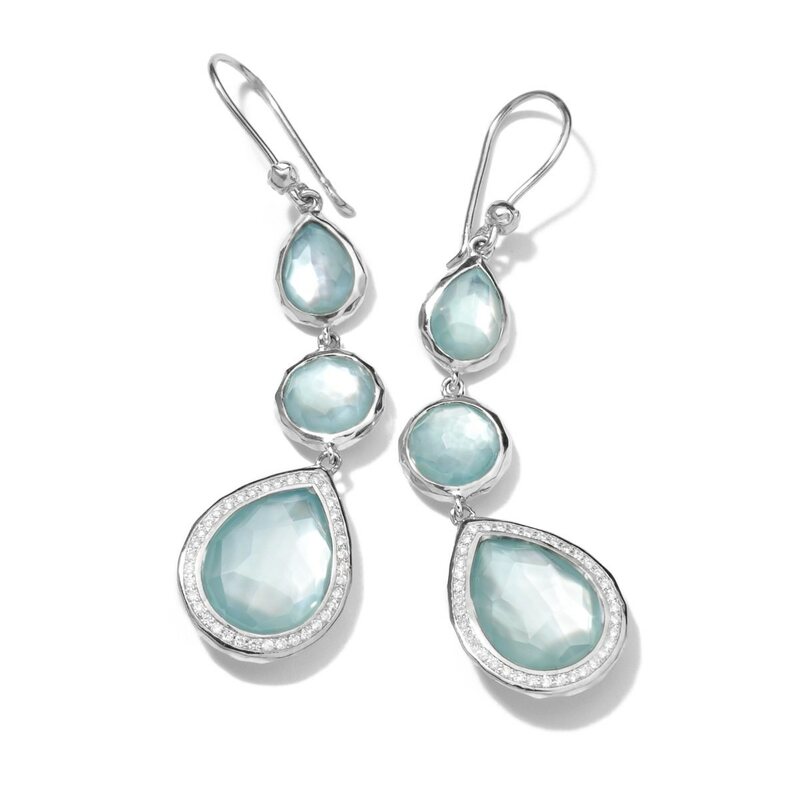 The big blue stone adds finesse to the elegant look of the earrings. 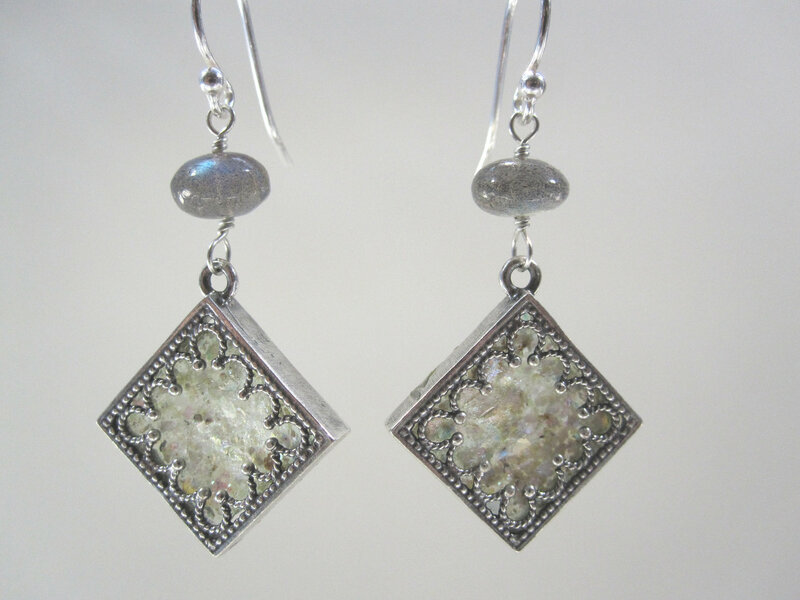 The base is designed completely with shining stones. 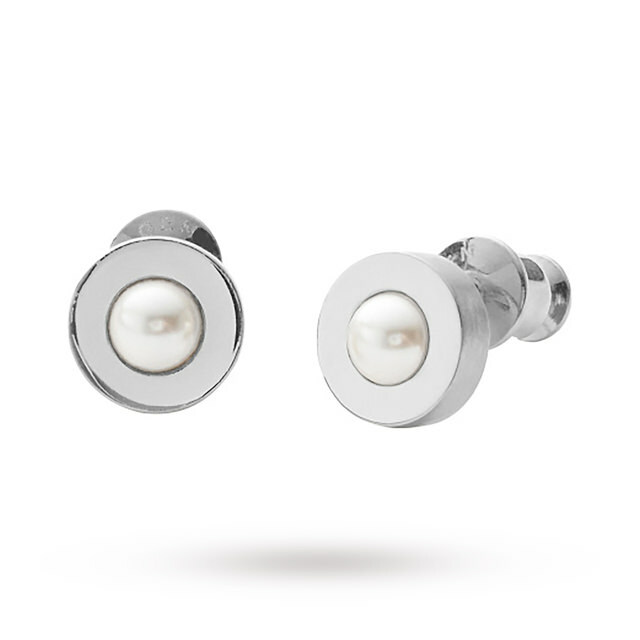 The design rests with one center pearl which gives it a trendier look. There is no stone other than this pearl. The look is quite simple and modern. 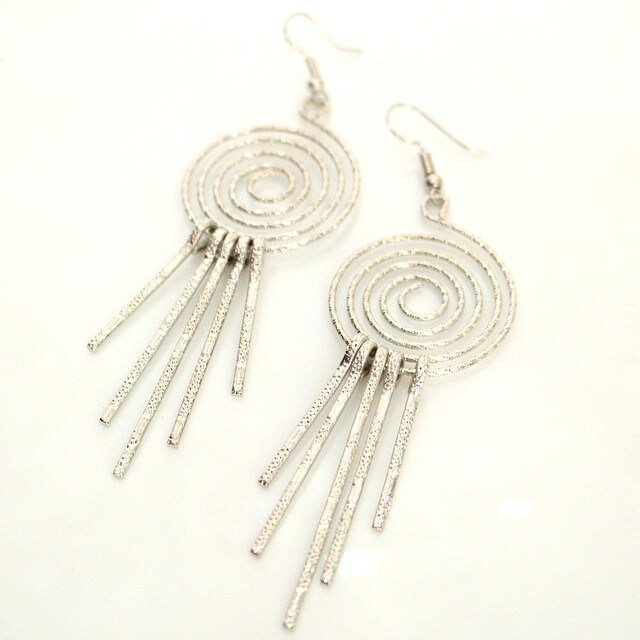 One can wear it with a formal outfit perfectly. 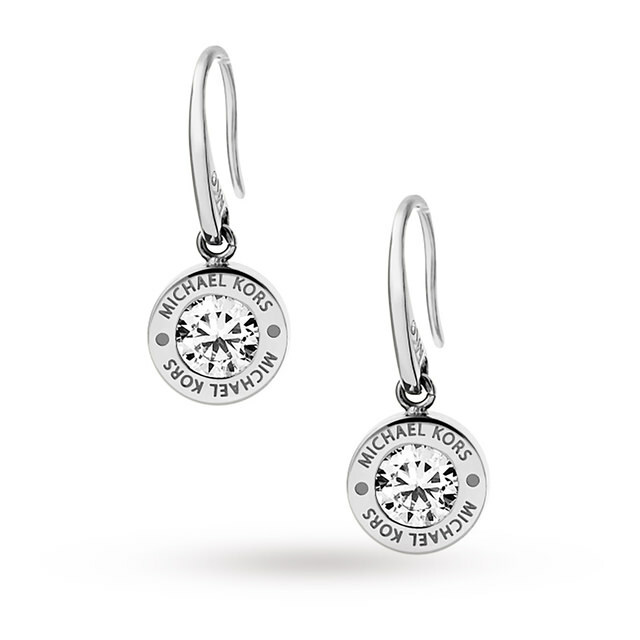 With a middle chain of the small diamonds, the design looks shiny and elegant. 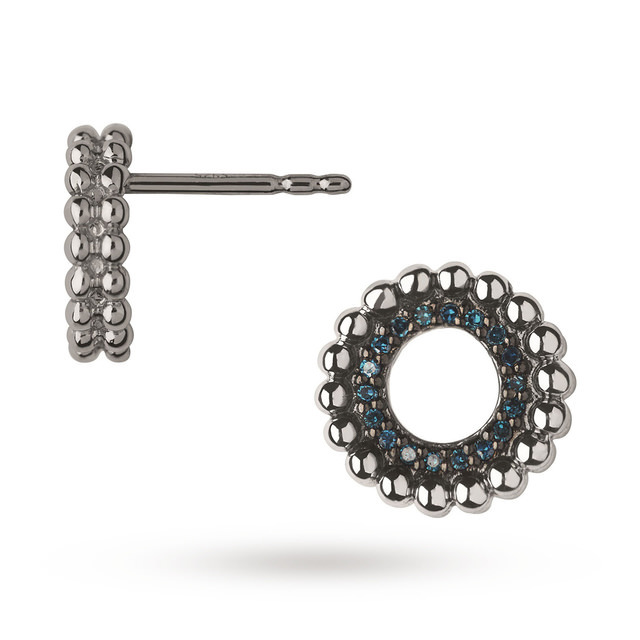 The tucking pin of the design is slim enough to get in your lobe. 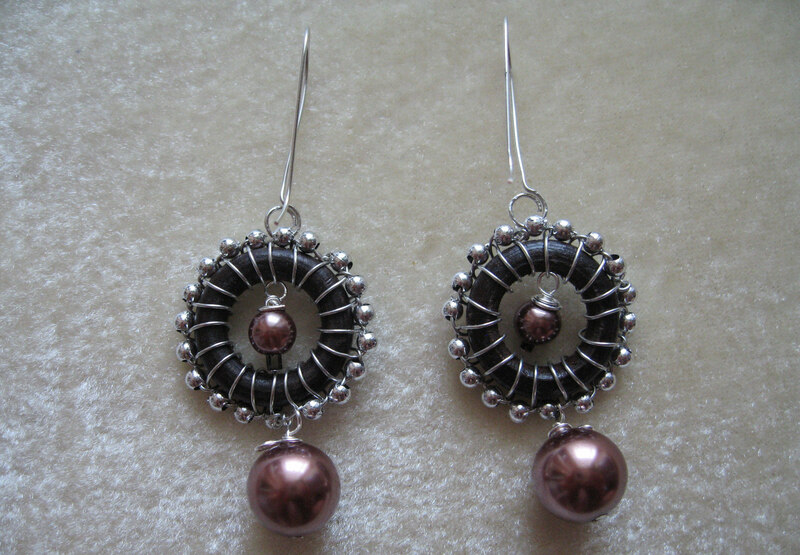 This design is quite similar to a Jhumka. 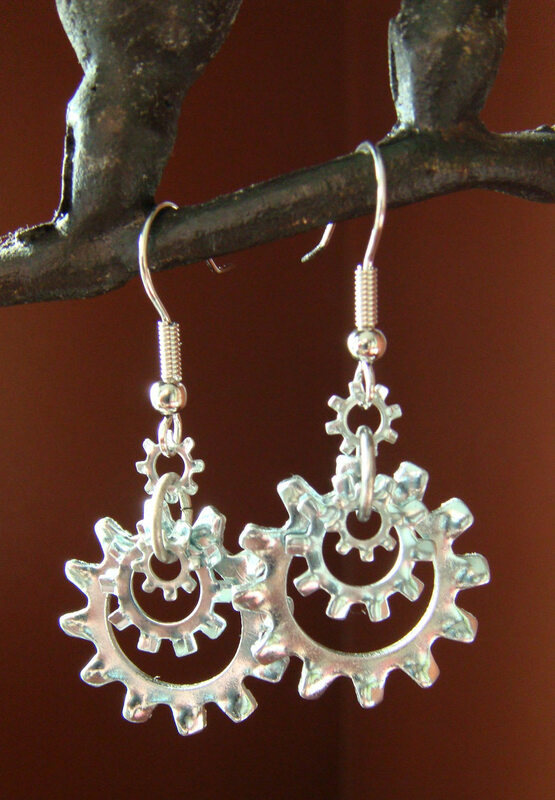 The earrings are quite heavy. They look good on the ladies with dark makeup. 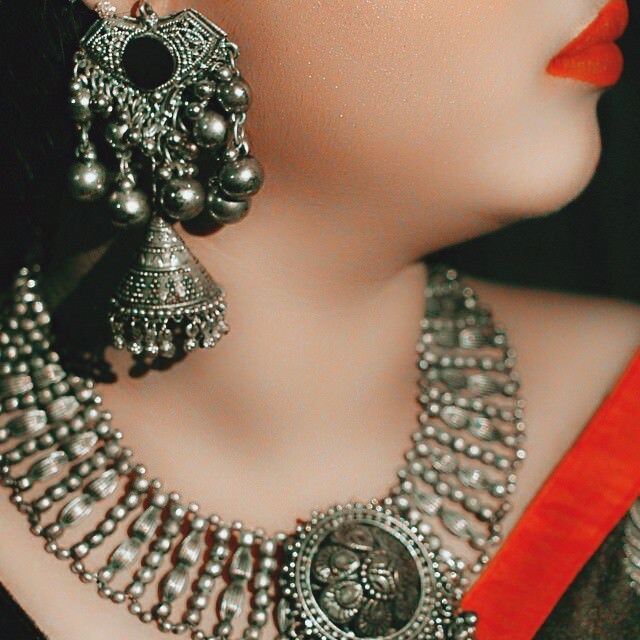 Wear a similar design necklace to attend a wedding. Clad yourself in a party-wear style to get the look. 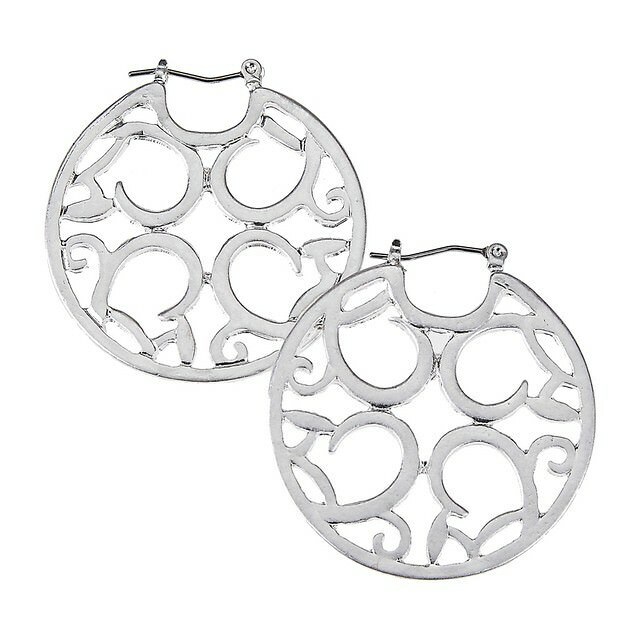 This design is quite trendier, with its round coin shape design. Small spots on the metal part look elegant. The idea is good to opt for regular styling. 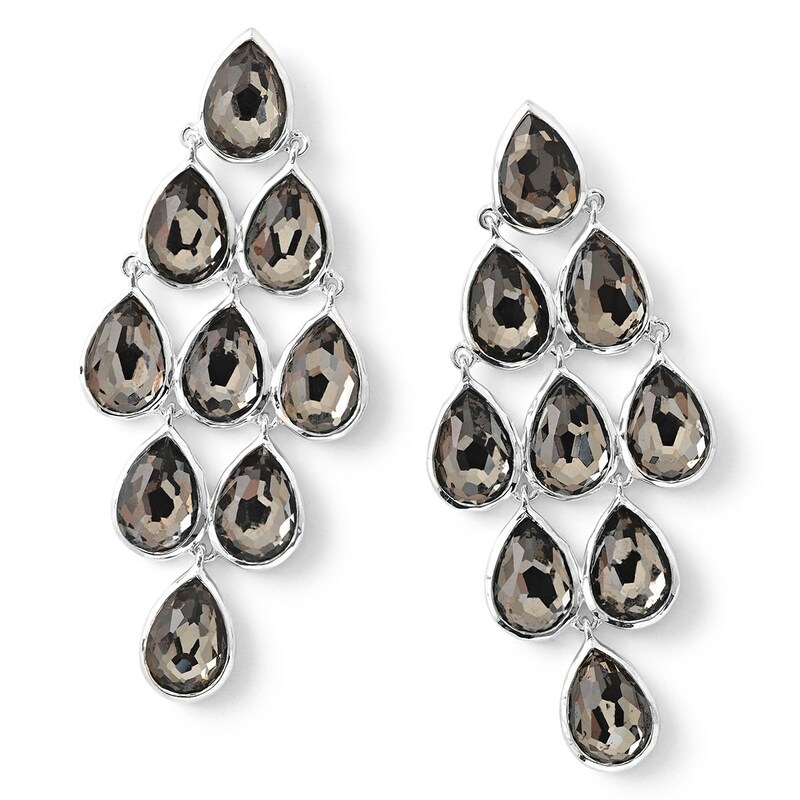 This match of the silver base and black diamond is very attractive. 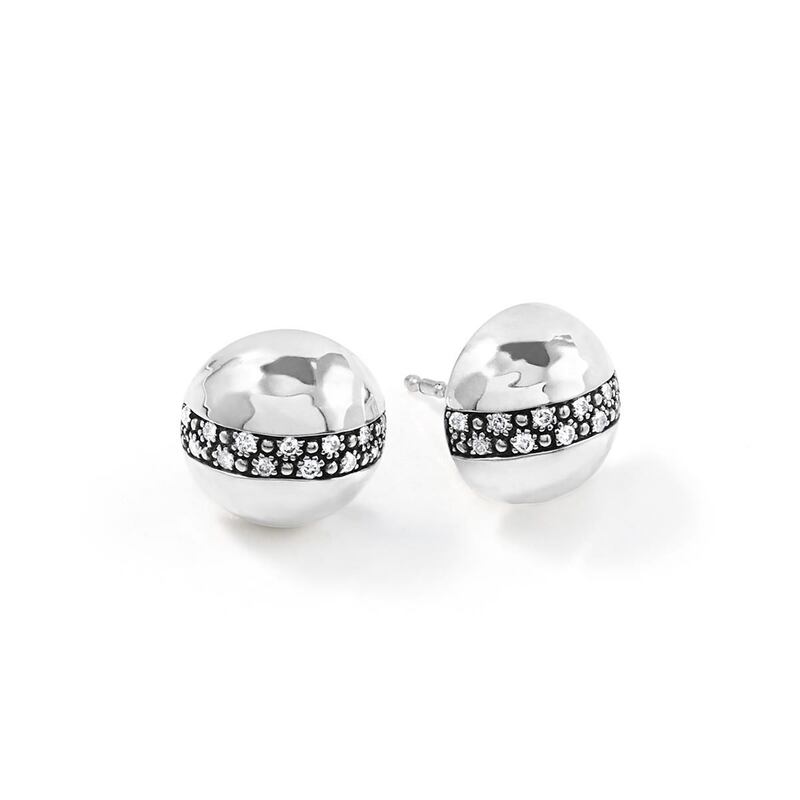 A solid base of the silver is created to hold two black gems comfortably. 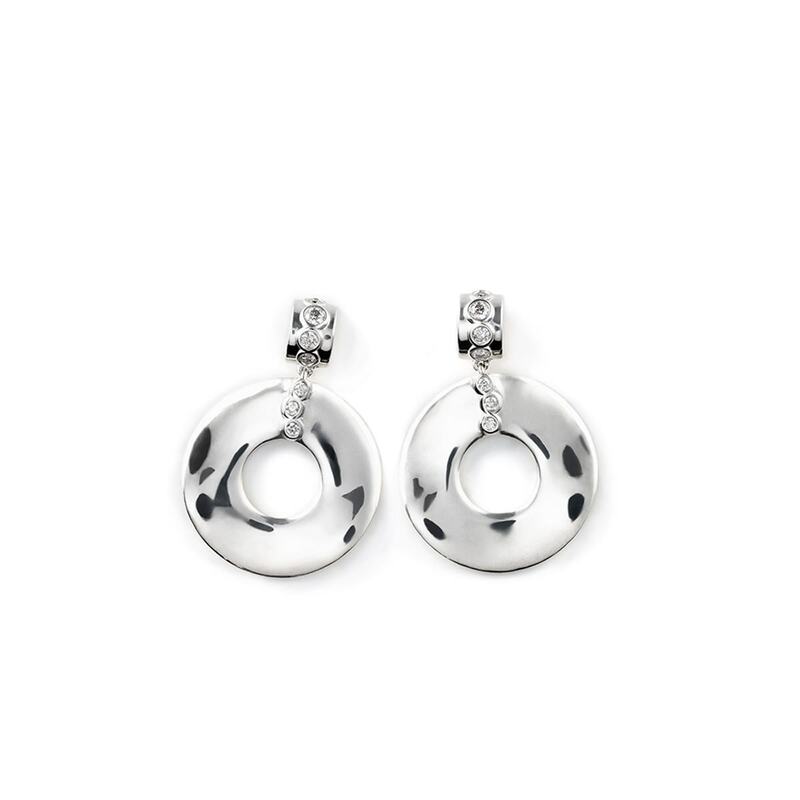 Combine this pair along with the dark lipstick and wear a black and white outfit to make the appearance classy. 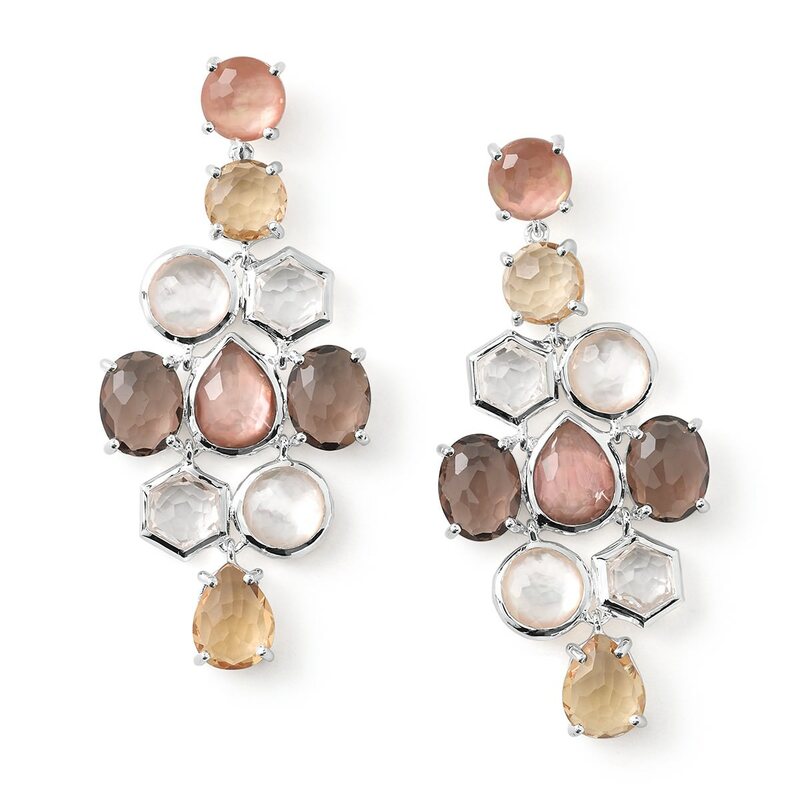 Earrings should perfectly match with the rest of your jewelry. 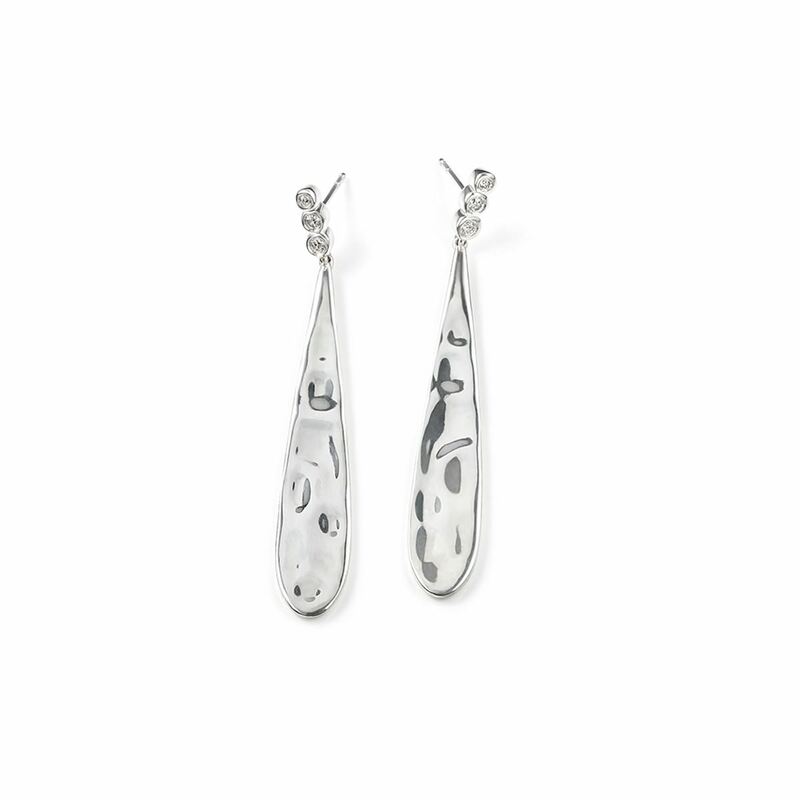 For a simple look, wear matching silver earrings along with suitable shoes. You do not need to overwhelm yourself with many accessories, just pick a cool wrist watch and make your personality decent. Go trendier and stay gorgeous!